Innovating power and water systems does not end in providing reliable and low-cost utilities to consumers. It is more than what you drink and what makes your devices running. From pipes to power plants, power and water leaders have invested in every part of the system to make sure that everything is efficiently working and is not making a negative impact on the environment. 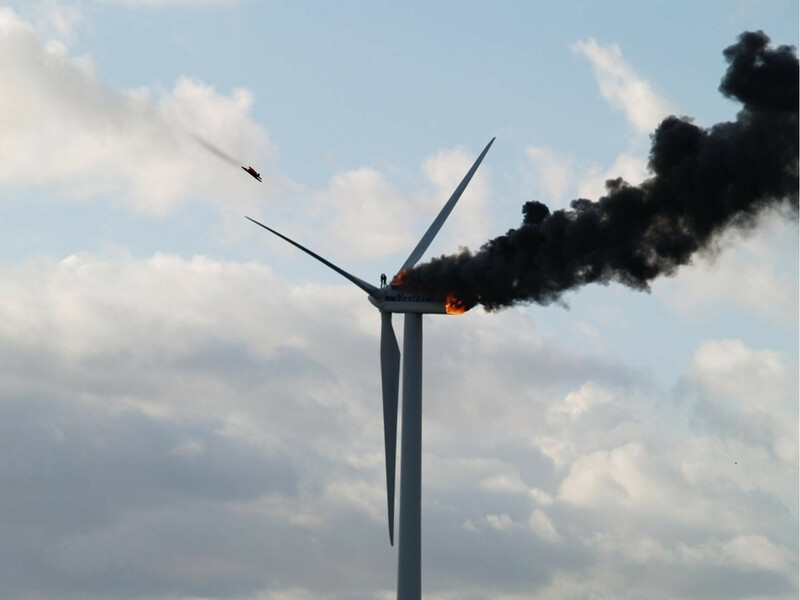 Growing population, risks of climate change, and pollution attributed to the sector are just some of the dilemmas that industry leaders are trying to solve. 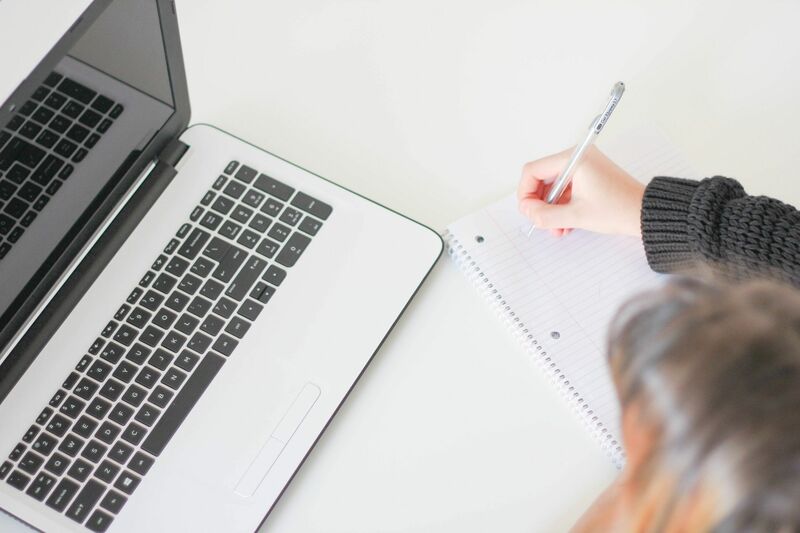 Companies are also looking for ways to offer cheaper products and services while maintaining a positive image regarding commercialization of utilities. 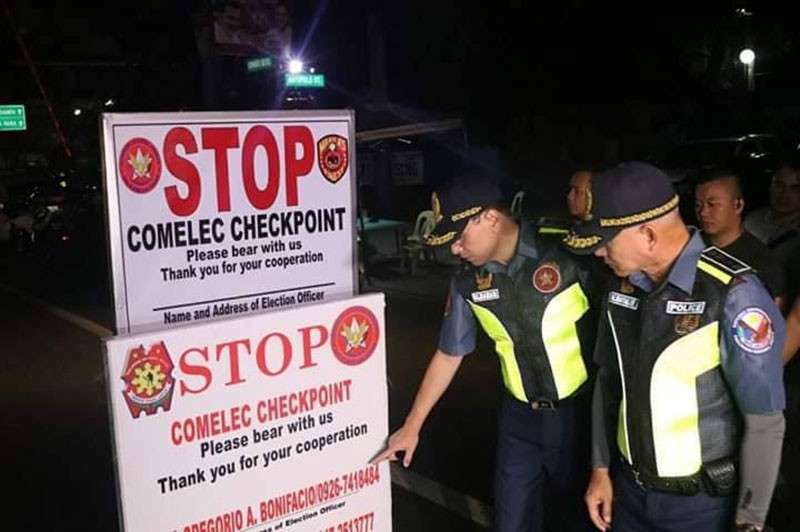 Keeping up with the demands is never easy as every step they make is scrutinized for utilities are considered human rights. 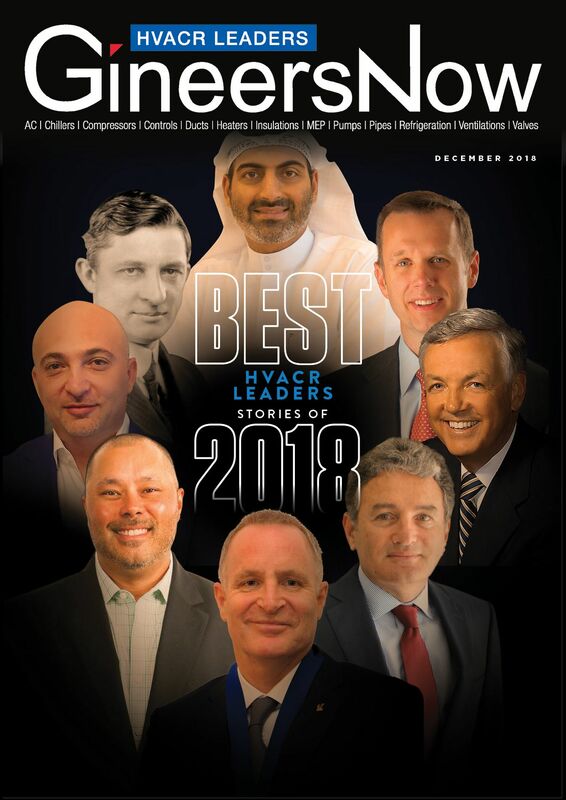 Despite the challenges and controversies continually faced by the industry, these power and water leaders will remain unstoppable in their mission of providing the best utility services to different communities. Today, we will run down these leaders who sparked change and phenomenal innovation in the sector. 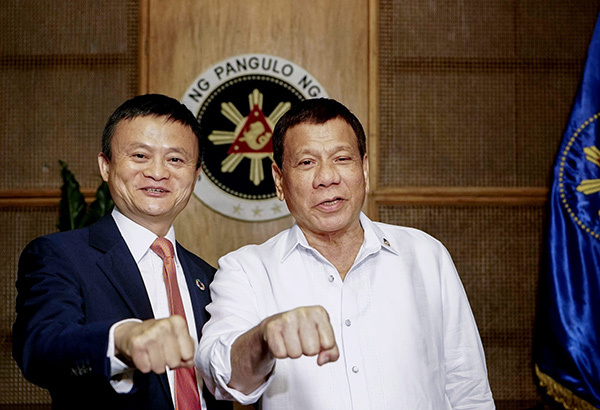 For our Power and Water Leaders magazine February issue, we had H.E. Dr. Rashid Alleem, Chairman of Sharjah Electricity & Water Authority (SEWA), who discussed about how the company ranks as one of the best utility providers in the Arab world, investing heavily in energy efficiency program and technologies. 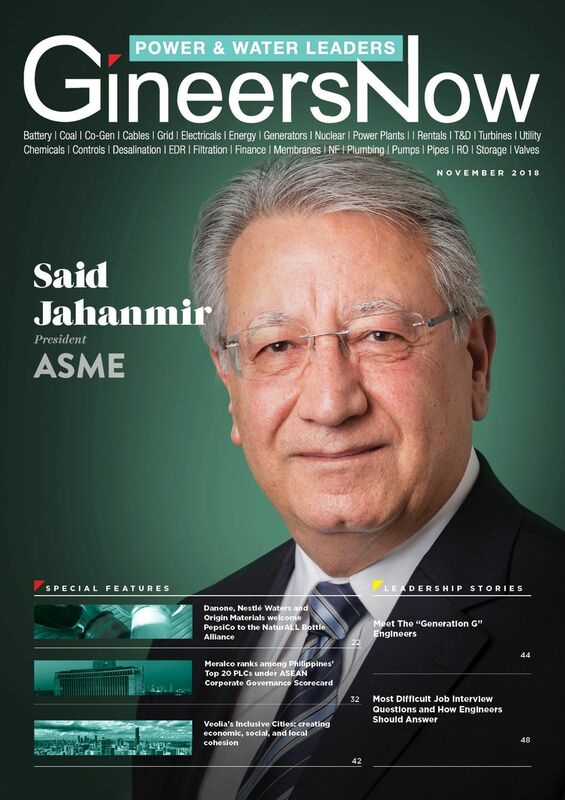 Meanwhile, the cover for the March issue is Miguel Angel Sanz, International Desalination Association (IDA) President and Shannon McCarthy, the Secretary-General. 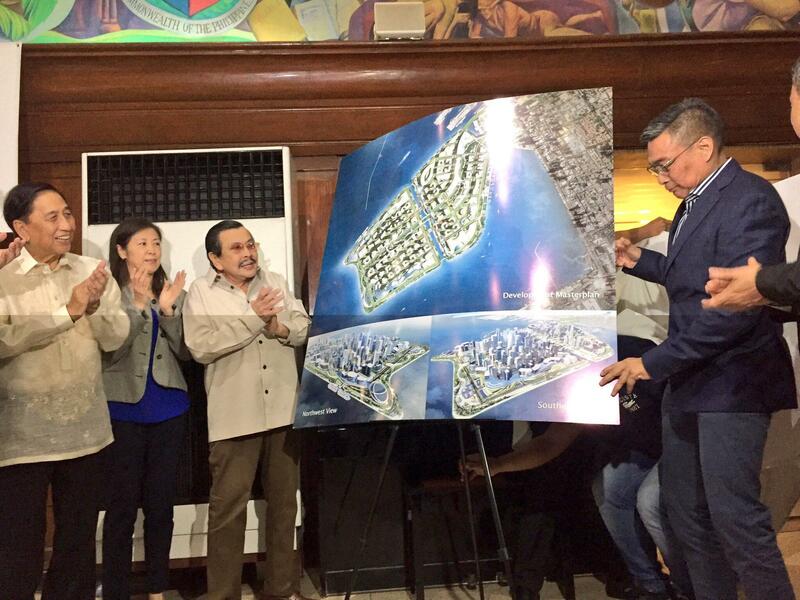 Their leadership envisions to increase water accessibility and sustainability through innovative water management solutions. Meanwhile, Nikola Tesla, the father of electricity, was our Power and Water Leaders magazine April front cover. 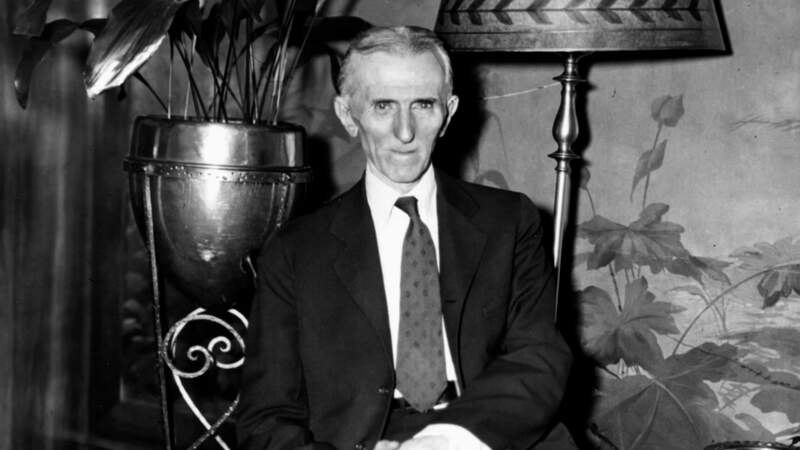 Tesla’s origins, his relationships with people and why he preferred to be chaste, and how people in the scientific and engineering communities celebrate his legacy around the world have been discussed. The following month also unraveled an equally interesting story as Akon, a Hollywood music icon, has ignited a mission to bring power to millions of Africans through Akon Lighting Africa. 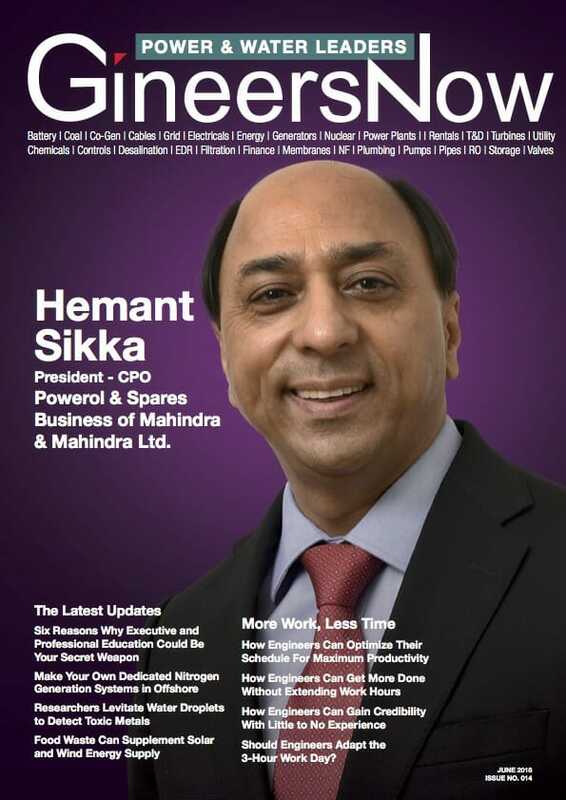 June gave us the delightful story of Hemant Sikka, an Indian national and President of the Powerol & Spares Business of Mahindra & Mahindra Ltd., a USD 19 billion company, has a leadership position in utility vehicles and is the world’s largest tractor company, by volume. 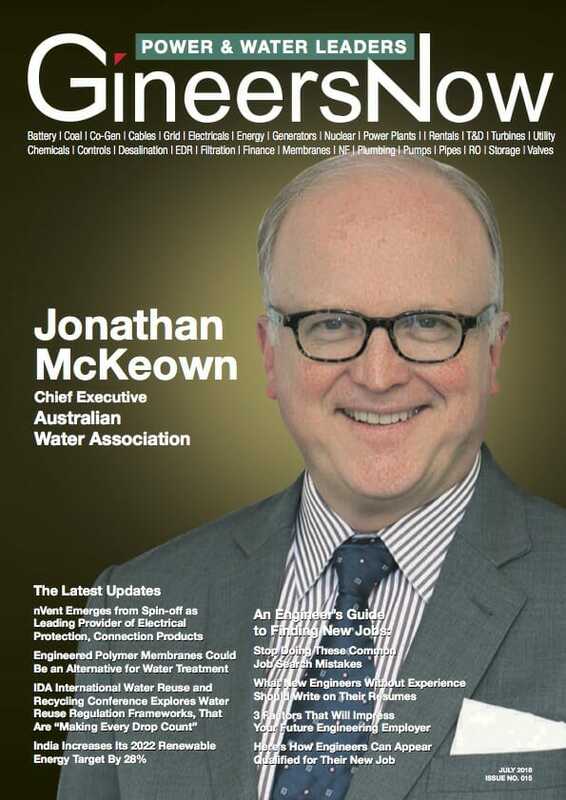 For the succeeding issue, we had Jonathan McKeown, Chief Executive Australian Water Association (AWA) who is now represents more than 100 water utility products to the water industry, and 4,000 water professionals working within the industry. A fresh and captivating topic for the Power and Water Leaders magazine sector floated in August as we discussed the power of Artificial Intelligence (AI) or robotics and how it can shape the industry to having more competent operations. On the other hand, Trish White, the National President and Board Chair of Engineers Australia explains the life of the organization with its dreams for the profession and how opportunities will be opened for women and for their capability towards diversity in the workforce. 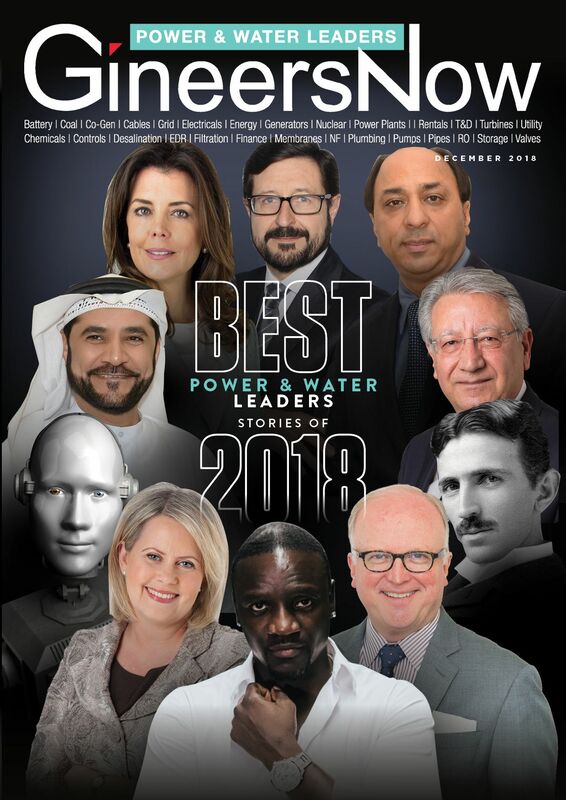 Indeed, 2018 is a short year to house all the innovations that these Power and Water Leaders magazine are working on but it is certain that in the coming years, we will witness a greater advancement in the utility sector with high hopes that global accessibility to power and water will be resolved. 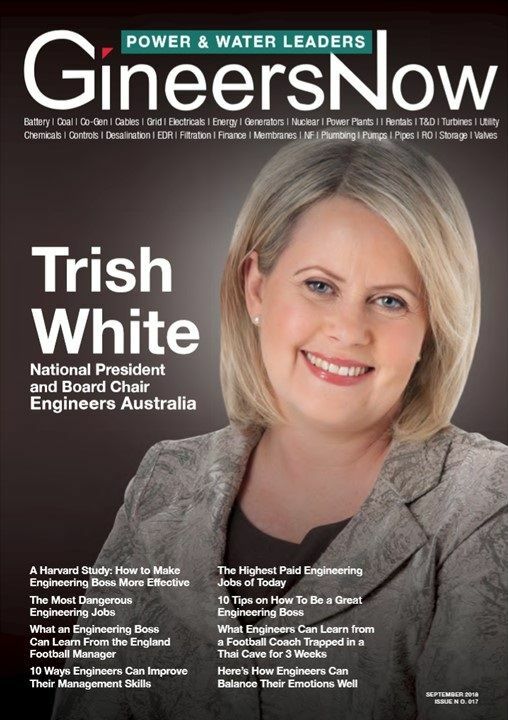 Trisha White, the national president and board chair of Engineers Australia, explains the life of the organization with its dreams for the profession and how opportunities will be opened for women and for their capability towards diversity in the workforce. 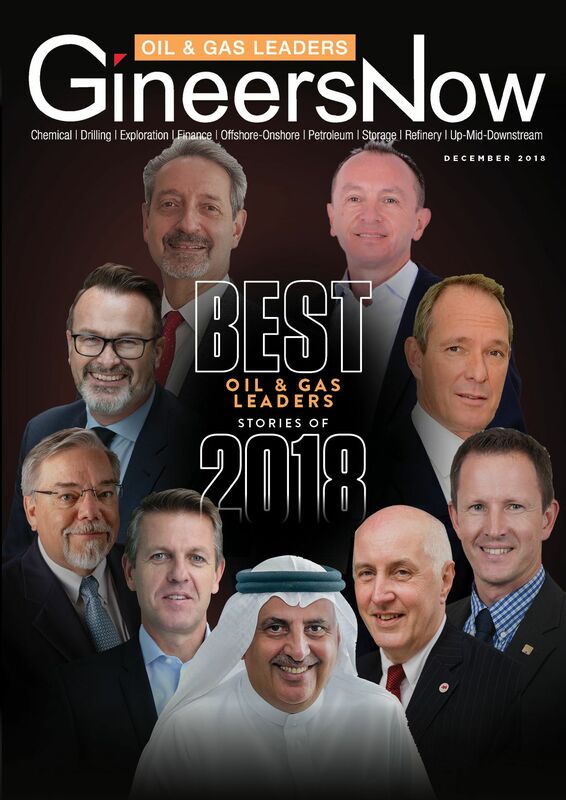 In this exclusive cover story featuring AWA’s Chief Executive, Jonathan McKeown, learn more about the association’s recent successes, what they provide their members with and the management behind AWA. How did such a successful inventor end up as an obscure figure feeding pigeons in the park and dying alone in a New York City hotel room in 1943? In this month’s cover story, learn more about the Mahindra Group, its market and how they expanded in diverse segments like Engineering, Realty, Retail, IT, Telecom, BFSI, Manufacturing, Pharma, Textile, Oil & Gas and Government sectors. 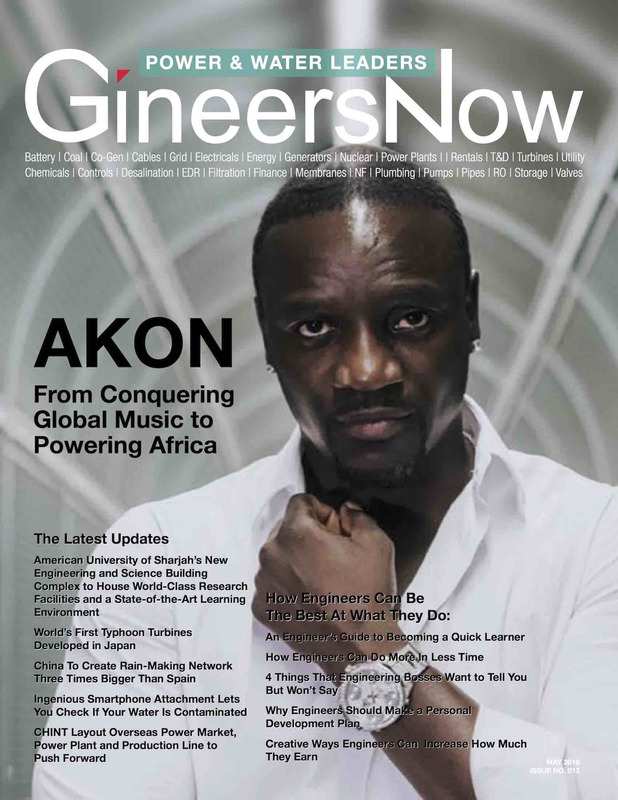 For this month’s Power and Water Leaders, we are featuring Akon, a recording artist with chart-topping hits who became a visionary with a mission to provide access to electricity to millions of Africans.